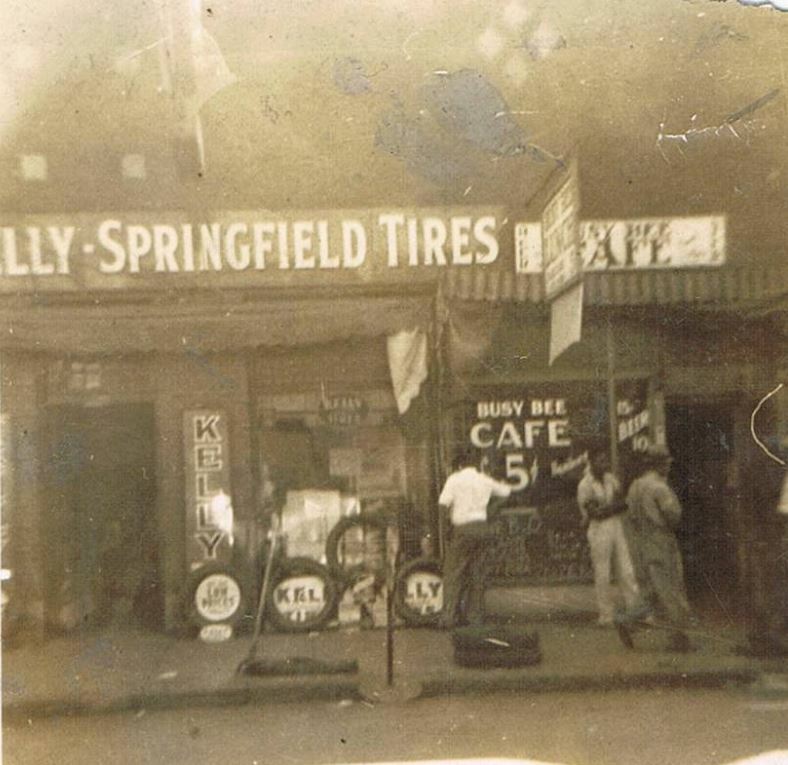 This Depression-era photo shows several unidentified African-American men standing in front of Greek-Albanian immigrant George K. Pappas’ Busy Bee Cafe at 221 South Goldsboro Street. Next door, sharing the building, was Wilson Tire Company. The building has been demolished; it is the empty lot beside Worrell’s Seafood. Photograph courtesy of Keith Thomas. Thanks for sharing.